An estimated one in 10 medical products circulating in low- and middle-income countries like India is either “substandard or falsified”, says a new research report from the World Health Organisation (WHO). According to WHO, these medicines not only fail to treat or prevent diseases but can also cause serious illness or even death. “Substandard and falsified medicines particularly affect the most vulnerable communities,” said Tedros Adhanom Ghebreyesus, the WHO Director-General. The report highlighted that since 2013, the WHO has received 1,500 reports of cases of substandard or falsified products. Of these, antimalarials and antibiotics are the most commonly reported. Most of such reports (42 per cent) come from the WHO African Region, 21 per cent from the WHO Region of the Americas, and 21 per cent from the WHO European Region. “This is likely just a small fraction of the total problem and many cases may be going unreported. For example, only 8 per cent of reports of substandard or falsified products to WHO came from the WHO Western Pacific Region, 6 per cent from the WHO Eastern Mediterranean Region, and just 2 per cent from the WHO South-East Asia Region,” said the report. The report further says that substandard or falsified medicines promote antimicrobial resistance in people, who can pass on the mutant infection while travelling abroad. Such bacteria or virus resistant to medicine will become impossible to treat. 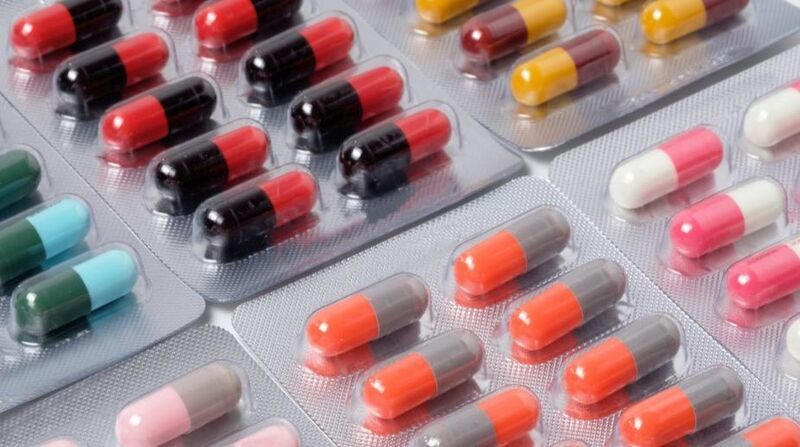 Noting that antibiotics and other antimicrobial medicines are manufactured and prescribed at doses designed to destroy the pathogens that are causing illness, the report states that if a treatment course contains only a fraction of the correct dose, or if it is so badly made that the active ingredients are not released properly, then it is only likely to destroy some of the pathogens, but not all of them. “The ones that survive will be the ones that have mutated enough to survive low doses of the medicine. Usually, they do not reproduce very quickly. But with all the more susceptible strains killed by the weak medicines, they have room to multiply and spread to more people,” said the report. According to the report there is clear evidence that resistance to the most important antimalarial medicine, artemisinin, first appeared in a part of the world where at one point between 38 and 90 per cent of the artemisinin medicines on the market were substandard or falsified. The findings are part of WHO Global Surveillance and Monitoring System for substandard and falsified medical products. It is first time in 10 years that the WHO is publishing estimates on substandard and falsified medical products in low- and middle-income countries. Doctors and other health workers waste precious time trying out alternative treatments, when all that is really needed is a quality version of the same treatment. In the worst cases, several of which are described in this report, people die, either from untreated disease or because the product itself kills them. “This really is a global problem. In the age of cheap air travel and mass population movements, people who develop resistant infections because of substandard or falsified medicines in one country can easily travel to another country and pass on the mutant infection,” said the report, adding that once a bacteria or virus is resistant to a medicine, even a full treatment course will not kill it. “So even if the medicines in the new host country are all perfect quality, they will not cure the disease,” said the report. The substandard and falsified medical products also affect the legitimate manufacturers of both generic and innovators pharmaceutical products who suffer financially and reputation-wise when criminals falsify their products. Substandard and falsified medical products strain the budgets of households and health systems, damaging the very fabric of society. The report says that over the past four years, the WHO has received reports of substandard or falsified medical products in all therapeutic categories, covering everything — from cancer medicines to contraception, from antibiotics to vaccines. The report says that some 15 years ago, global sales of medicines rose above US$ 500 billion for the first time. Since then, sales have doubled again, to approximately US$ 1.1 trillion, with by far the largest growth occurring in middle-income markets.